Altitude Junkies operates under the directorship of Phil Crampton, based in Kathmandu, Nepal and The Gunks (short for Shawangunk Mountains) of New York. Our support staff in Nepal have been in the outdoor business for many years and our sister company, Expedition Himalaya, provides expedition and trekking logistics to many well-known mountaineering companies and famous alpinists. 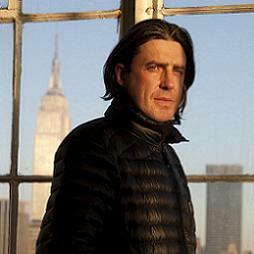 Phil is one of the most experienced and active climbers presently organizing and leading expeditions in the Himalayas. His wry British New Yorker sense of humor, strong leadership skills, and passionate interest in both the mountains and people of the Himalayas and their culture ensure an unforgettable experience in high Asia. He has led close to 50 expeditions to 8000-meter peaks including 15 Everest expeditions, Tibet (8 times) and Nepal (7 times), Broad Peak, Cho Oyu (8 times), Dhaulagiri, Gasherbrum I (4 times), Gasherbrum II (4 times), Lhotse (2 times), Makalu (2 times), Manaslu (8 times) and Shishapangma (2 times). Elsewhere in the Himalaya, he has led trips to multiple 6,000 and 7,000-meter peaks including Ama Dablam (3 times), Cholatse (5 times), Kang Guru, Kyajo Ri (2 times), Mustagh Ata (3 times), Pumori (2 times) and Ganesh I. On the other continents he has climbed Denali, Aconcagua, Alpamayo, Huascaran (3 times), Huantsan and many other smaller peaks across the globe. Phil holds the American avalanche standard AIARE level 2 certification and is a member of the AMGA (American Mountain Guides Association). When not on an expedition, Phil divides his time between Kathmandu, Nepal and The Gunks, New York, which he both calls home. 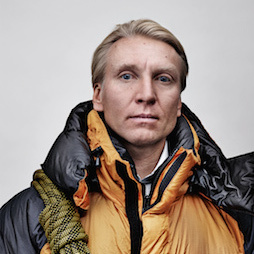 Sammy was one of Finland's most experienced high-altitude mountaineers and the backbone of the Junkies technical expeditions. He climbed extensively in Nepal and Tibet as well as in Europe with an impressive summit record on the 8,000-meter peaks he attempted. Unfortunately Sammy lost his life in 2015 whilst descending from the summit of Annapurna. Sammy reached the summit of many 8,000-meter peaks including Annapurna, Cho Oyu (2 times), Dhaulagiri, Everest from Nepal, Gasherbrum II, Kanchenjunga, K2 in Pakistan, Lhotse, Makalu, Manaslu and Shishapangma. Other Himalayan climbs included Ama Dablam, Cholatse and Ganesh I. Sammy was the president of the Finnish Alpine Club and when not climbing the high peaks of the Himalayas could be found leading treks in the somewhat lower elevations up to the respective base camps. When not globe trotting around the world on climbing expeditions he could be found in Helsinki planning his next big adventure. 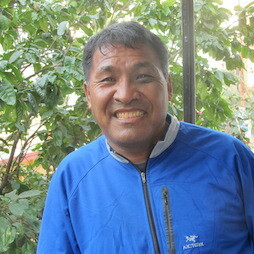 Pasang Ongchu Sherpa is the Altitude Junkies Climbing Sirdar and is one of the fifty or so, UIAGM certified guides in Nepal. He has extensive experience climbing on Everest, Lhotse and Manaslu as well as many other smaller peaks like Ama Dablam and Cholatse in Nepal. He now has quite the ski resume with trips to Chamonnix, France and Japan. 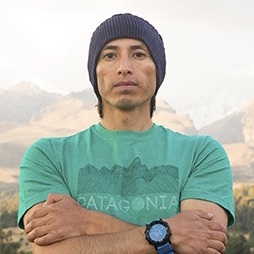 Jamie is a Peruvian-American UIAGM certified guide and the Junkies main man in the Cordillera Blanca of Peru. When not guiding in Peru or the States, Jamie can be found making technical alpine climbs, epic ski descents, or hard rock climbs around the world. When not pushing the boundaries with new routes he enjoys participating in ice, sport, and bouldering competitions. Jamie is a member of the AMGA (American Mountain Guides Association) and calls San Francisco home. All of our Sherpas are important to our expeditions but without Da Pasang at the helm of the kitchen as head cook, our expeditions would not be as successful. He has been described as a magician by a well-known climber and Everest blogger. Not many cooks have an immaculate clean kitchen with all stainless steel work tops and sinks and carpeted flooring all at Da Pasang's request. He insists on having plenty of kitchen assistants on hand to make sure our clients want for nothing in regards to food and beverage at our base camps. 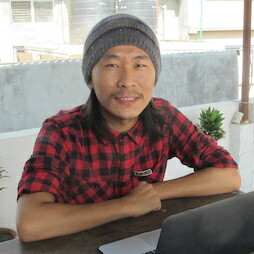 Da Pasang lives with his wife and child in Kathmandu where he runs a successful restaurant. Nabin has been involved in adventure travel and tourism in Nepal for over a decade and brings a wealth of experience to Altitude Junkies and Expedition Himalaya. Expert at managing and organizing expeditions and large scale outdoor operations. 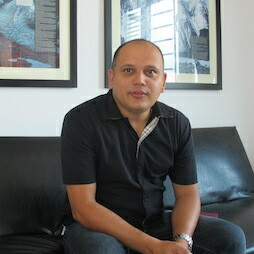 He has a deep understanding and knowledge of the Nepal tourism industry. 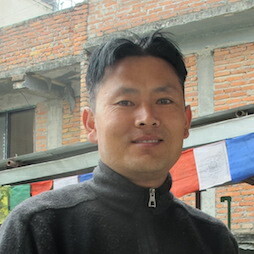 Da Geljie Sherpa has more than 21 years trekking and climbing experience. He has been to all the trekking regions in Nepal and has climbed most of the major peaks in Nepal and Tibet with international expedition groups. Passionate about exploration in the Himalayas and a highly experienced mountaineer and expedition organizer he brings a wealth of knowledge to Altitude Junkies and Expedition Himalaya. Pasang runs the day to day operations of Expedition Himalaya, whether arranging transportation needs, filing expedition permits or issuing tickets for Goma Air. 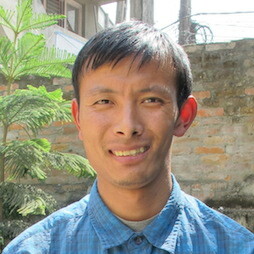 He is the backbone of our office and is the go to guy for anything that our clients need whilst in Kathmandu. Photo credits: Samuli Mansikka - Descending from the summit of Cholatse. James Porto - Photo of Phil.